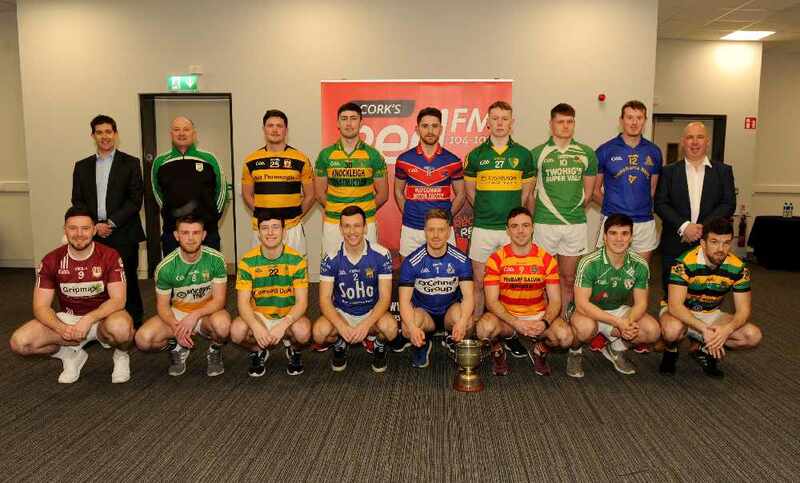 UCC AC and Bandon AC athlete Phil Healy deservedly scoops the award for April, with thanks to award sponsors Cork International Hotel, Gerald McCarthy Gifts and media partners Cork's RedFM. If you haven't heard of Phil Healy, where have you been the past month? One of the most amazing runs of all time. Julie O’Sullivan, Phil Healy, award recipient; Orla Leonard and Siobhán O’Donovan. 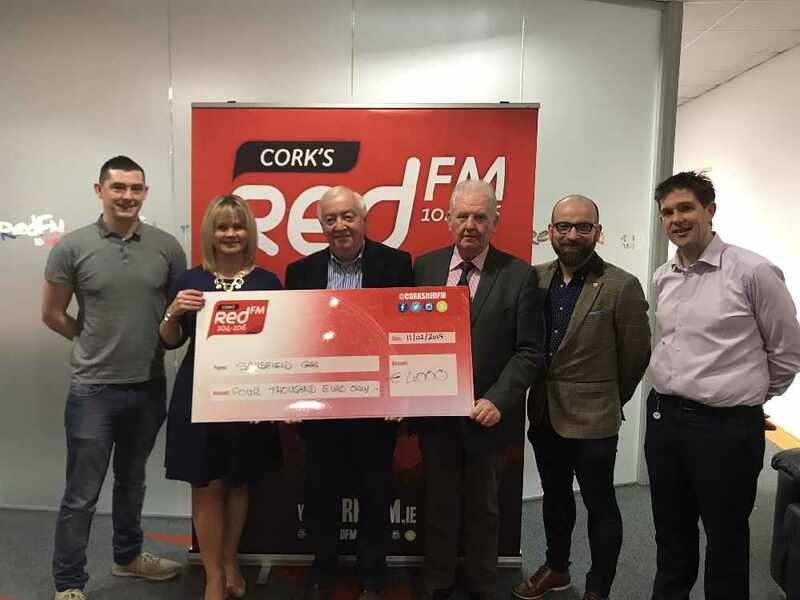 Tanya O’Sullivan, Senior Sales Executive, RedFM (Media Sponsors); Aaron Mansworth, General Manager Cork International Hotel, Main Sponsors; Ruairí O’Hagan Red FM Sport (Media Sponsors) and Phil Healy, award recipient. Aaron Mansworth, General Manager Cork International Hotel, Main Sponsors; Tanya O’Sullivan, Senior Sales Executive, RedFM (Media Sponsors); Ruairí O’Hagan Red FM Sport (Media Sponsors) and Phil Healy, award recipient. Two great Sports Presenters, Billy George and Billy Barry. Noelle Feeney and Ruairí O’Hagan Red FM Sport (Media Sponsors). Kayla Murphy, Emma Brosnan and Siobhan McCarthy. Ray Shanahan with his daughter Louise Shanahan – relay member. Kylie Basnett, Sales & Marketing Manager, Cork International Hotel (Main Sponsor) presenting the award to Phil Healy of UCC & Bandon Athletics Clubs including Deputy County Mayor Cllr. Gillian Coughlan; Deputy Lord Mayor Cllr. Mick Nugent and Tanya O’Sullivan, Senior Sales Executive, RedFM (Media Sponsors). Kylie Basnett, Sales & Marketing Manager, Cork International Hotel (Main Sponsor) presenting the award to Phil Healy of UCC & Bandon Athletics Clubs including Shane McCormack, Coach; Deputy County Mayor Cllr. Gillian Coughlan; Deputy Lord Mayor Cllr. Mick Nugent; Tanya O’Sullivan, Senior Sales Executive, RedFM (Media Sponsors) and Cllr. Mary Shields. (Seated) Deputy County Mayor Cllr. Gillian Coughlan; Phil Healy of UCC & Bandon Athletics Clubs being presented with her award by Kylie Basnett, Sales & Marketing Manager, Cork International Hotel (Main Sponsor) and Deputy Lord Mayor Cllr. Mick Nugent; (standing) Christine O’Donovan, UCC Deputy Director of Sport & Physical Activity; Donie Walsh, UCC; Tanya O’Sullivan, Senior Sales Executive, RedFM (Media Sponsors); Shane McCormack, Coach; Cllr. Mary Shields and Ray Shanahan. (Seated) Deputy County Mayor Cllr. Gillian Coughlan; Phil Healy of UCC & Bandon Athletics Clubs being presented with her award by Kylie Basnett, Sales & Marketing Manager, Cork International Hotel (Main Sponsor) and Deputy Lord Mayor Cllr. 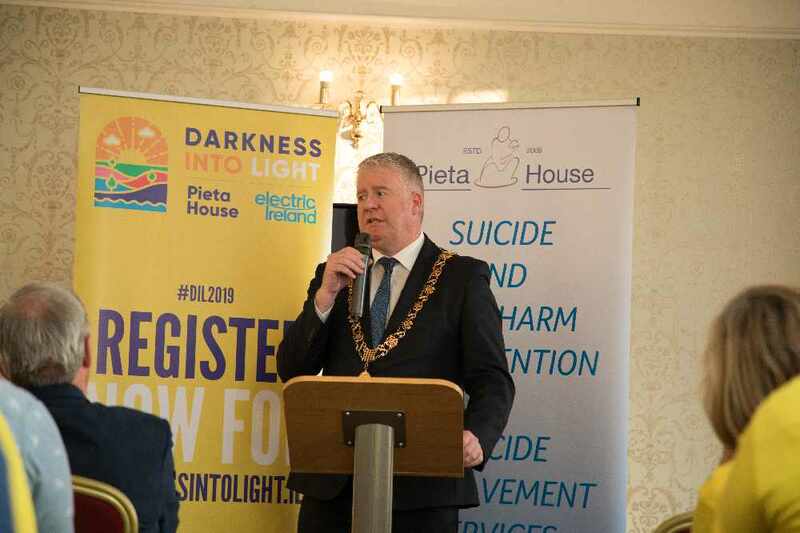 Mick Nugent; (standing) Kayla Murphy, Emma Brosnan, Julie O’Sullivan, Siobhán O’Donovan, Tanya O’Sullivan, Senior Sales Executive, RedFM (Media Sponsors); Cllr. 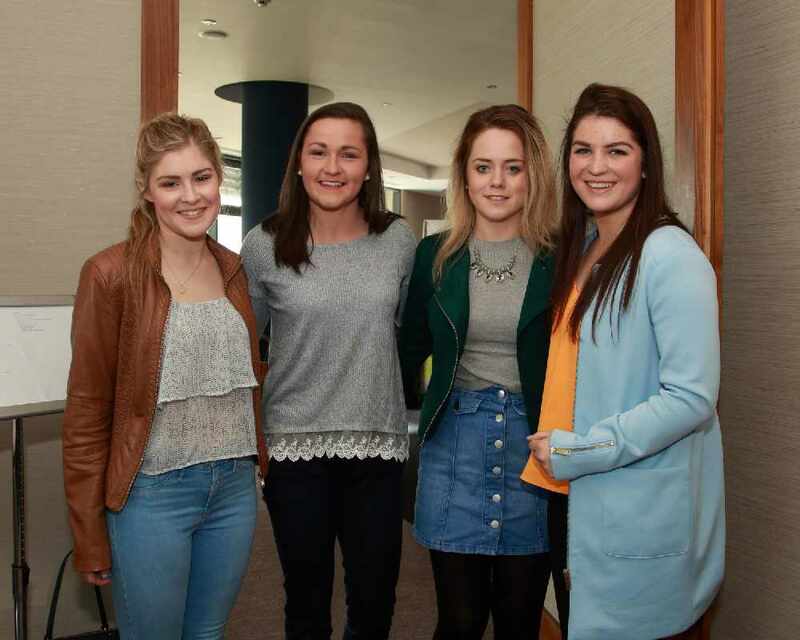 Mary Shields, Siobhan McCarthy, Orla Leonard and Siobhán Collins. (Seated) Deputy County Mayor Cllr. Gillian Coughlan; Phil Healy of UCC & Bandon Athletics Clubs Award Winner and Deputy Lord Mayor Cllr. Mick Nugent, (standing) Julie O’Sullivan, Kayla Murphy, Siobhán O’Donovan, Emma Brosnan, Siobhan McCarthy, Orla Leonard and Siobhán Collins. Phil Healy of UCC & Bandon Athletics Clubs Award Winner with Team-mates and friends Julie O’Sullivan, Siobhán Collins, Kayla Murphy, Siobhán O’Donovan, Emma Brosnan, Orla Leonard and Siobhan McCarthy,.